EMC Testing forms part of CE marking of commercial equipment to ensure the safe and reliable operation of a product. 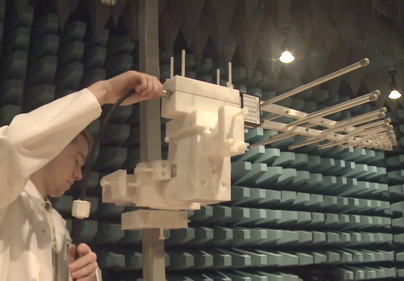 We have full UKAS Accreditation for several forms of testing and have one of the most advanced labs in the UK which includes; 2 Reverberation Chambers, a fully Anechoic Chamber, a Semi-Anechoic chamber as well as screened rooms. With our UKAS ISO/IEC 17025 Accredited EMC Lab we offer commercial, military, aerospace, medical, marine, power generation, railway, IT and automotive EMC Testing services. Your device will have it’s own relevant EMC test standard and here at ETC, we have vast experience working with a wide array of standards. Our EMC engineers are happy to talk you through the relevant EMC standards relating to your product. What really makes us different is that we are happy to give expert help and advice and we do not charge for the advice we give. 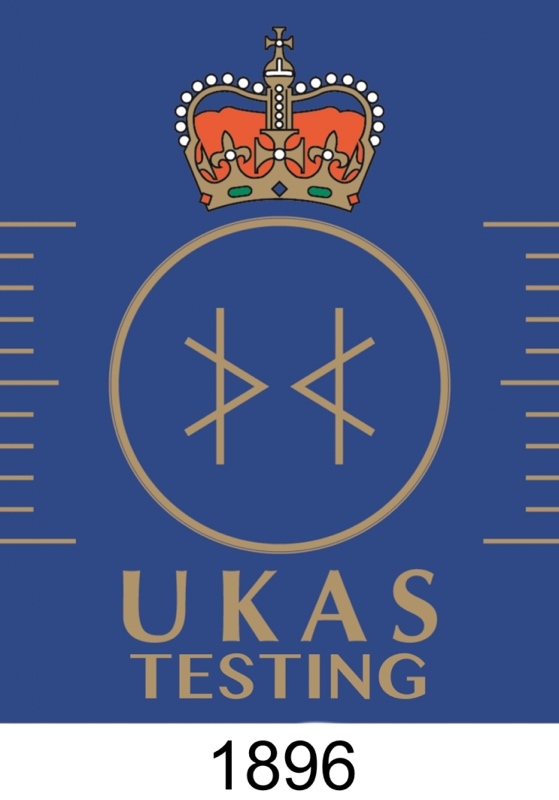 As part of our UKAS accreditation we have LAB39 status which means that even if we don’t have specific testing in place for your product we can (within reason) add certain standards and give you UKAS accredited EMC results. Similarly, you might want help with pre-compliance testing and support where your product is under development and may want to test the EMC properties before having final testing for accreditation being performed, which we are happy to help with. Electronic and magnetic emissions are tested to see what electro-magnetic “noise” a device generates whilst in operation. The device is put into one of our anechoic chambers and/or are field tested in an open area test site (OATS) and run as it might do in the real world. Sensitive antennas, pick up on the signal being given out by the device and measure this with sensitive calibration equipment to check what electronic frequency the device may be emanating and to test to see if it might interfere with other devices. Electronic and magnetic emissions are tested to see what electro-magnetic “noise” a device generates whilst in operation. The device is put into one of our anechoic chambers and/or are field tested in an open area test site (OATS) and run as it might do in the real world. Sensitive antennas, pick up on the signal being given out by the device and measure this with sensitive calibration equipment to check what electronic frequency the device may be emanating and to test to see if it might interfere with other devices. Conducted emissions measure the noise emitted by a power supply unit (PSU) back into the mains network and other interconnecting leads. Immunity tests (both radiated and conducted) place the equipment in it’s normal operating environment where it is subjected to a field either directly in a chamber (radiated testing) or indirectly to cables (conducted immunity). Conducted emissions measure the noise emitted by a power supply unit (PSU) back into the mains network and other interconnecting leads. Immunity tests (both radiated and conducted) place the equipment in it’s normal operating environment where it is subjected to a field either directly in a chamber (radiated testing) or indirectly to cables (conducted immunity). The final area of EMC testing is transients. These tests replicate operation in extreme environments of the real world. Electro Static Discharge (ESD) tests simulate personal contact. Surges replicate extreme occurrences such as lighting strikes. Voltage dips are applied to the equipment to simulate power failure and Electrical Fast Transients or EFT simulates noisy overhead power lines. The final area of EMC testing is transients. These tests replicate operation in extreme environments of the real world. Electro Static Discharge (ESD) tests simulate personal contact. Surges replicate extreme occurrences such as lighting strikes. Voltage dips are applied to the equipment to simulate power failure and Electrical Fast Transients or EFT simulates noisy overhead power lines. The equipment is briefly subjected to parts of the relevant test so that any design problems may show up. This flexibility gives you the opportunity to rectify any potential problems with the help of our experienced EMC Engineers before committing to Full Compliance EMC Testing. This flexibility gives you the opportunity to rectify any potential problems with the help of our experienced EMC Engineers before committing to Full Compliance EMC Testing.